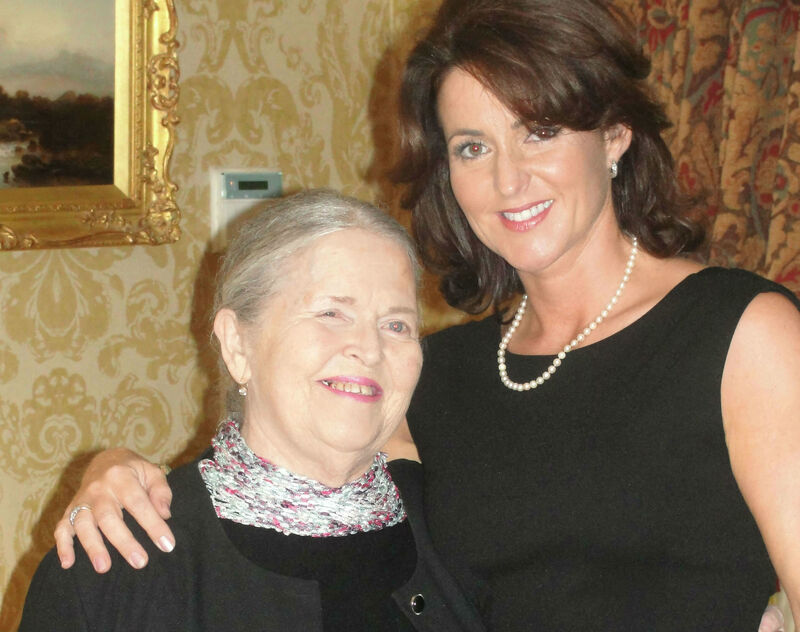 When I lost my mum, it was the loneliest and most isolating time of my life. Everyone seemed to disappear, and it was apparent that they didn’t know what to say to me or what to do. It was only later that I realised they didn’t want to say the wrong thing to me — they saw me as the expert. How could they possibly say anything to help me when I allegedly knew it all. Months and years later friends admitted to me that they just didn’t know how to comfort me or know the right things to say. Where could I go for help and how did I even know what help I needed? And if I had nowhere to go, where on earth would other grievers find solace and the right kind of grief counselling? I realised how little understanding, help and care was available to bereaved people. Having been in the funeral profession from the age of fifteen, I could see that there was more to death than just arranging a nice funeral. It needed to incorporate the experience of grief, the healing of grief understanding, care and counselling. It wasn’t until some years later that I met Richard Farleigh — former Dragon’s Den investor, who told me that I must write a book about grief. I had never planned to nor did I know anything about writing a book, yet Richard was adamant that my knowledge, expertise and outlook were much needed. When I was just nine years old, my mother always recalled that I followed her around constantly saying that I wanted to be an undertaker. It used to drive her mad — funny, even then I knew black is so slimming. She also knew that if she wanted me to do something, she would tell me not to do it, and equally if she didn’t want me to do something she would actively encourage me to do it. Her methods were usually foolproof, but not on this occasion. Therefore, still insisting that I wanted to be an undertaker, and with Mum definitely not wanting me to be, she began her active encouragement. When I was fifteen, she rang a local funeral home to ask if I could spend a Saturday morning with them so that they could put me off, as she really didn’t think it was a suitable profession for a young girl. They invited me down the following Saturday and tried their damndest. It didn’t work! And of course, my friends thought I was a total weirdo and christened me Morticia. Totally unfazed by all this, and being repeatedly told by all the local funeral directors that ‘this is no place for a slip of a girl”. I went on to become the youngest qualified female funeral director in the country at that time, and was then unable to find work as a Funeral Director simply because I was female. This forced me to open my own funeral home to remain in the profession that I love so much. Like a blinkered workhorse, I never raised my head, and I am now very proud to be one of the female pioneers — minus pith helmet and boots and opting for top hat and tails instead. You had no plans to write a book, so what was it that made you put pen to paper? As soon as Richard told me I needed to write the book, I realised it would help so many more people, people I could never reach just working within four walls, people who really needed grief counselling or those who just needed to brace themselves for one of life’s traumas. My whole career spanning thirty years flashed before me, and I actually realised that I had been writing this book since the age of fifteen. It took me just over two years. The book just seemed to happen. It took just over two years to write and has been a wonderful experience. 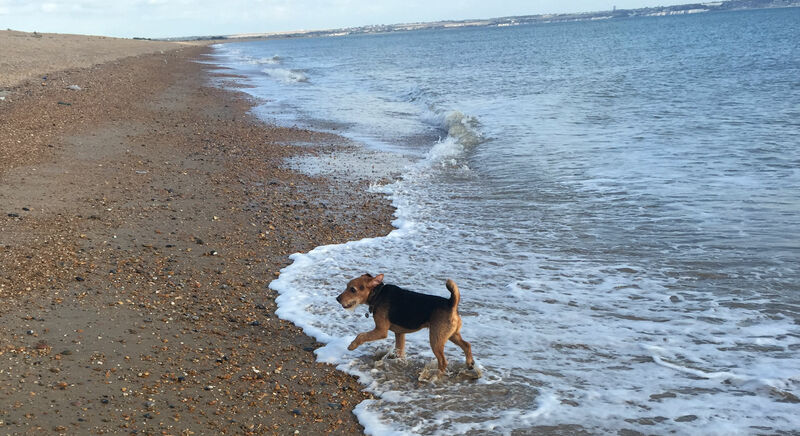 It completely absorbed me during that time, and I would sign myself out of society and take off to remote coastal cottages with my dog to immerse myself in writing. I loved the early morning walks and jogs along the beach which helped set me up for the day, which would then be spent putting all my notes together and setting the chapters. It helped not speaking to anyone and being so close to nature. If I didn’t get a certain feeling, it didn’t go in the book. I was often surprised at the words that would just keep coming and how my awareness expanded. I was like a sponge leaking water as the words just kept rolling. Just before dusk I would don my trainers again and take Ronnie for another brisk walk before home for a quick dinner followed by a long relaxing bath and then early to bed, my head whirring with narratives. What was it that inspired you during this time? A very close and lovely friend of mine, Guy died on 19th August 2017 following his diagnosis of terminal cancer. My book is dedicated to Guy. When Guy told me that it was down to me to get him through, I had to begin to understand how I did what I did. I had always worked instinctively and intuitively with grievers, but now I had to break it down and put it into words. In truth, Guy, unknowingly to us both at the time, was my springboard. He taught me more than anyone can ever know. For that, I will always be grateful. I think of Guy and my Mum every single day. Always and ever a part of the person I am. Do you have a fear of death and dying? I can’t — I have to practise what I preach, or none of this would be real for me. The only fear I have is the mode of death — please be swift and painless. What is your interesting writing quirk? I lived in the book for the duration of writing, and even when I had finished, I struggled to let it go. I was constantly narrating inside my head and wrote exactly as I would speak without wasting words. It couldn’t be a long rambling narrative and had to be full of information and advice. It’s a known fact that grievers suffer from a lack of concentration so I couldn’t lose them on the first page — I had too much to say. I can hear my friends say: “Nothing new there then”. How has your book helped people? So many people who have bought the book have told me that they couldn’t put it down and read it in one sitting. It hasn’t just taught them about death and grieving but has helped to improve their lives and daily interactions with friends and loved ones. Most importantly, above all, they have told me that it gave them permission to grieve in their own way, to make positive choices and it made them feel ‘normal’. Are there any plans in the pipeline for a second book? It’s underway! When I was writing How To Grieve Like A Champ, I wasn’t just talking about death and grief, but all aspects of loss from the loss of a pet to helping children, to the breakdown of a romantic relationship. It was advising How To Live… and I bet you can guess the title! You cannot heal until you acknowledge what is causing you pain. Take a deep and honest look within and learn to trust yourself, your instincts and your feelings. Go easy on yourself. You are not a robot, and it is OK to struggle as you try to get back into the mainstream of living. No one teaches us exactly how to cope, but you will be showing yourself the greatest respect and love when you speak your feelings out loud, putting them into words with total honesty. By trusting another with your words, you are also teaching them that it is OK and safe for them to share when something hurts. This is a normal and healthy human exchange. You may feel vulnerable, exposed and scared the first time you voice your innermost feelings because we are not used to talking from a place of pain. Choose people you feel safe with. Keep going. Ask people to listen with an open heart and to kindly not interrupt you while you speak and not to judge, compare or comment on the feelings you communicate about the loss of someone important to you. 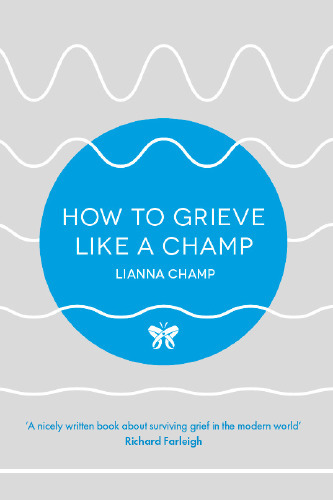 If you want to learn how to grieve, visit Waterstone’s to buy my book: How to Grieve Like a Champ.